This is part of our guide to monitoring in the UK. You will find this information in printed form in our monitoring kit. there should be no point-of-sale advertising, giving of samples, or any other promotion device to induce sales directly to the consumer at the retail level, such as special displays, discount coupons, premiums, special sales, loss leaders and tie-in sales, for products within the scope of this Code. The scope of the Code includes all breastmilk substitutes (including infant formula, follow-on formula and so-called growing-up milks), feeding bottles and teats. Subsequent Resolutions adopted by the World Health Assembly also state that baby foods should not be marketing in ways that undermine breastfeeding. There is no restriction on products being sold, as long as they comply with labelling and composition requirements. The restriction is on promotion. Promotional campaigns are not a good basis for selecting the only food a formula-fed child will receive. Parents require accurate, independent information. 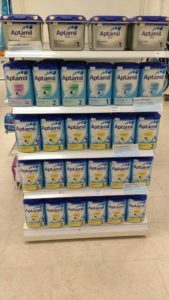 The UK regulations do not prohibit promotion of breastmilk substitutes other than infant formula. Practices such as the clearance display in Tesco shown below break the law. 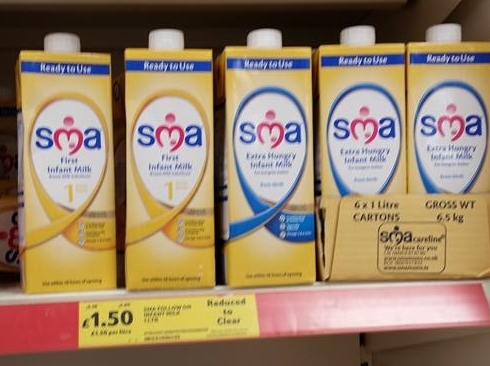 (Tesco was attempting to clear stocks of this infant formula as Nestlé introduced a new formula, informing health workers that babies fed on the current formulation received “protein in excess of requirements”. 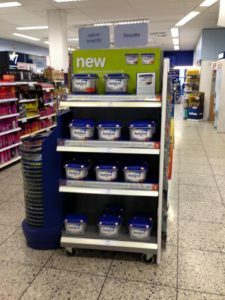 Customers were not informed why the formula was reduced when Tesco encouraged them to buy it). 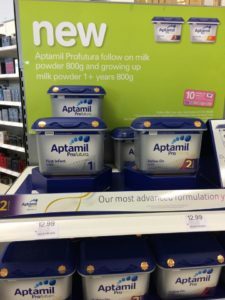 ‘shelf-talkers’ (attachments that add a company’s logo or sales message to the edge of a shelf) and other in-store promotional devices for follow-on formula must not be used in the vicinity of infant formula. Follow-on formula should be located at a different part of the store to infant formula. If this is not possible they should be clearly separated in physical location. These requirements are frequently broken. 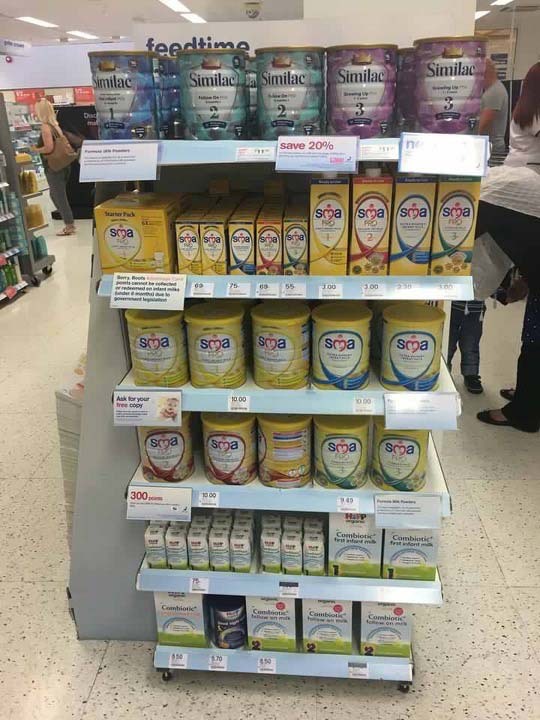 In the example below, Boots has included infant formula in a special display. (This may be difficult to notice as manufacturers disrespect the requirement to clearly differentiate products). a point-of-purchase display located at the end of a shopping aisle; considered a prime location, commanding the highest fees. Often used for high-margin, impulse items. Also known as end, end cap, or end display. Research has also shown that “End-of-aisle” display “boosts sales” (Press Association report). When challenged, the Boots managers have said products were included in error or placed there by customers. Three examples from February and March 2016 (left to right: Mild, Liverpool and Stamford). No prosecutions have been brought.